BodyMedia's line of armbands has been helping folks monitor their health for years, and today the company has announced a new, smaller and more fashionable member of the family. Called the CORE 2, it packs a three-axis accelerometer, plus temperature, heat flux and galvanic skin response sensors to measure all kinds of biometric data. Those internals gather over 5,000 bits of data every minute to track how hard you exercise and how many calories you burn when doing so. It doesn't take nights off either, as the band also tracks sleeping patterns to give wearers a full 24/7/365 picture of their health. Using Bluetooth 4.0, those biometrics get passed on to BodyMedia's existing mobile apps and web portal to track your fitness over time, create custom workouts and recommend dietary adjustments to help your body be the best it can be. What really sets the CORE 2 apart from other fitness bands is that it has interchangeable faceplates, straps and cuffs, so folks can tailor the bracelet's appearance to match their outfit. Unfortunately, the CORE 2 isn't yet ready for sale just yet, so we don't know when it'll be available or how much it'll cost. However, fitness fashionistas stay tuned -- we'll be seeing it in person here at CES, so there'll be more pictures coming your way this week. Wearable body monitoring pioneer BodyMedia today announced the BodyMedia CORE 2, the next generation of the activity/health tracker armband used on The Biggest Loser®. Packing four sensors into a housing smaller than an iPod Nano, the CORE 2 will be the smallest wearable multi-sensor device of its kind as well as the first to offer a choice of interchangeable jewelry- like faceplates, straps and cuffs for a fashion look. It will also feature a new heart rate monitoring option; energy-saving Bluetooth® Smart Ready technology enabling live activity updates on your smartphone or tablet as well as longer battery life; and data-rich mobile and online apps that can help users make smart food, exercise and lifestyle-related health decisions every day. A prototype of the CORE 2 monitor will be shown for the first time at Booth # 26718, South Hall at the 2013 International CES conference that opens today in Las Vegas. Unlike almost all competitive products that use only one sensor to 'read' the body, BodyMedia's monitors incorporate temperature, heat flux, galvanic skin response and 3-axis accelerometer sensors to get accurate measurements of calorie burn, exercise intensity and sleep patterns that affect weight as well as health. Those sensors capture over 5,000 data points per minute, but they take up space. New engineering will shrink the CORE 2 hardware to the size of a quarter for inconspicuous wear. At launch in August, the CORE 2 armband will come with a standard strap. 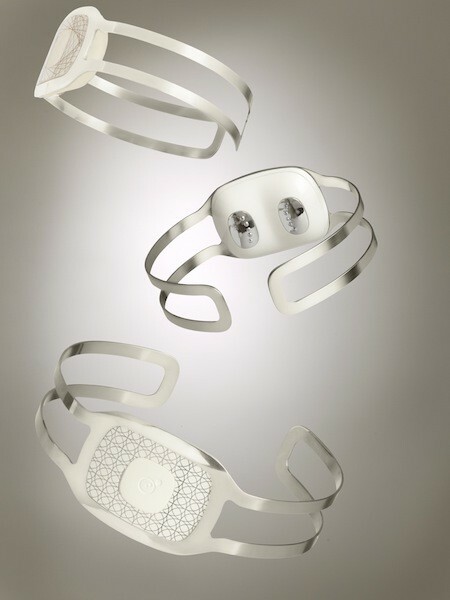 Later this year, BodyMedia will release easy-change faceplates, straps and cuffs that turn the armband into a fashion accessory. Wearers will be able to personalize their CORE 2 to match their mood, clothing, activity or general style with a snap – literally. To keep the form factor small but offer heart rate monitoring for fitness purposes to those who want it, the CORE 2 will give consumers the option to purchase an accessory strap with an embedded heart rate sensor. Wearing the armband on a continuous basis will allow minute-by-minute capture of heart rate data, whether you're watching TV or running a marathon. The data will be uploaded to BodyMedia's mobile app and online Activity Manager, providing one-stop information access from a single interface. This also sets the stage for BodyMedia to add other applications such as diabetes or stress management to the same platform. Equipped with new Bluetooth Smart Ready technology, the CORE 2 will enable live updates of body monitoring data captured with the armband to BodyMedia's mobile app on Smart Ready-enabled smartphones and tablets, eliminating the delays involved in computer upload. This real-time data will assist consumers in making smart on-the-go food and exercise decisions. In addition, the new Bluetooth technology uses less energy, so it will lengthen battery life on both the CORE 2 and mobile devices. The new armband will be part of a total body monitoring package that also includes a free mobile app, an online Activity Manager, and personalized feedback with the BodyMedia FIT coach – all self-help features developed for current BodyMedia products. • The mobile app provides an up-to-the-minute breakdown of calories burned, calories consumed, calorie deficit or overage for the day. It also allows users to log food and create custom workouts wherever they are. • The Activity Manager provides the same information and logging abilities, PLUS historical data and activity and dietary adjustment recommendations based on each user's goals, actual calorie expenditure and food intake for the day. • The FIT coach recommends activity and dietary adjustments based on each user's actual calorie expenditure and food intake for the day (e.g. "Hop on the treadmill and walk for about 1 hour at a speed of 4 mph and you can hit your calorie burn goal today"). BodyMedia body monitoring technology has been clinically validated for accuracy in physical activity and calorie burn measurements, and for the ability to improve weight loss up to three times over behavioral support alone. It is also the only system of its kind that is an FDA-registered medical device. To be among the first to be informed when the BodyMedia CORE 2 is released, email CORE2@bodymedia.com.